When applying concealer under the eyes, mix it together with a little primer and then lightly dab it around the eye bone. The primer will not only help spread the concealer more evenly and smoothly, it will also keep your makeup on longer and prevent it from creasing. Apply a few dots of a hydrating eye cream beforehand to add moisture to the skin and to prevent flakiness (which makes the delicate area look wrinkly and dehydrated). Eye cream should be used at night and in the morning and/or as a part of your general skin care regimen. As we grow older the skin under the eye becomes more and more delicate and can wrinkle if we don't properly care for it. 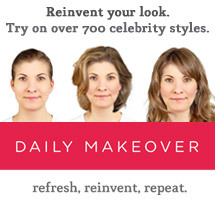 A moisturizing eye cream and the right concealer can take years off your face and make it look brighter and more alert. I love Smashbox Photo Finish Foundation Primer. This makeup artist fav. 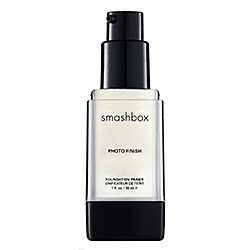 is a silky formula that fills in fine lines and pores and feels unbelievably light on the skin. It's also a Best of Sephora winner and been featured in countless magazines. 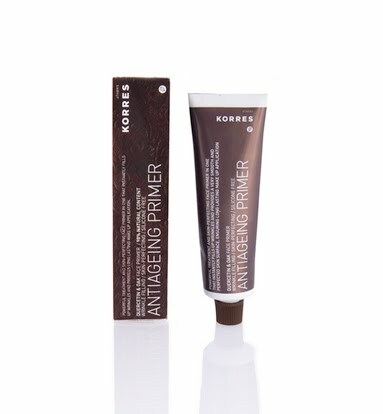 Korres Quercetin & Oak Age-reversing Primer is another great lightweight primer. Quercetin is a powerful antioxidant and Oak extracts repair fine lines and enhance skin texture. It also contains Hyaluronic acid, which provides immediate moisture and softness. Translation? It'll extend the lifespan of your makeup and boost your skin's appearance. Plus, it's Silicone-free so it won't clog your pores. Finding a noticeably effective eye cream, on the other hand, is like searching for The Holy Grail. A daunting task that produces many beautifully packaged fabrications. It's not that these eye creams aren't good it's more that they just don't perform the changes they say they're going to. I'm not trying to name names, but some of the creams I've tested out don't address my under eye puffiness and dark circles as effectively as they say they will. Surprise disappointments? While I love Estee Lauder's Advanced Night Repair Serum their Advanced Night Repair Eye Cream didn't improve my eye concerns. Another surprising disappointment was Lancome's High Résolution Eye Refill-3X Triple Action Renewal Anti-Wrinkle Eye Cream and High Resolution Eye Collaser-5X Intense Collagen Anti-Wrinkle Eye Serum. I used both daily and never saw any improvement to the skin. Both products promised improvement to the eye area within 3-4 weeks but unfortunately my skin looked exactly the same. The serum even felt a little cakey on. Next eye cream on my list? Shiseido's White Lucent Brightening Eye Treatment. The brand's White Lucent skin care line has garnered plenty of accolades and their eye cream won the CEW's Beauty Award for Best Eye Treatment last year. The cream addresses both melanin formation and poor local micro-circulation, two major causes of dark circles. The Multi-Luminizing Powder contains light diffusing properties that bring luminosity to the eye area. Since I just started using this, the verdict is still out. The cream does feel great on the skin (especially after storing it in the fridge) but I'm still not sure if it's helping my dark circles. Are there any eye creams you've tried that you either love or hate? Are you still on the quest for a great eye cream too! ?